From a very early age I knew I felt different to my sisters and the girls at school. I always gravitated towards the activities aimed at “boys” and identified with them much more than the girls. I hadn’t heard of transgender in my younger years or teens (1970’s) and it wasn’t really spoken about so I struggled on and tried to fit in all the time feeling more disconnected from my real self and feeling very unhappy and alone. I finally began my transition around five years ago when I went to see my GP and asked to be referred to a Gender Clinic whilst living in England. I had the chance to live and work in Wales two years ago and came out at the job interview as a trans man which changed my life completely. I have two adult children and three step children who are all really supportive and a wonderful partner of 20 years, Trudy, who has been pivotal to my transitioning and coming out to the world as Jack. 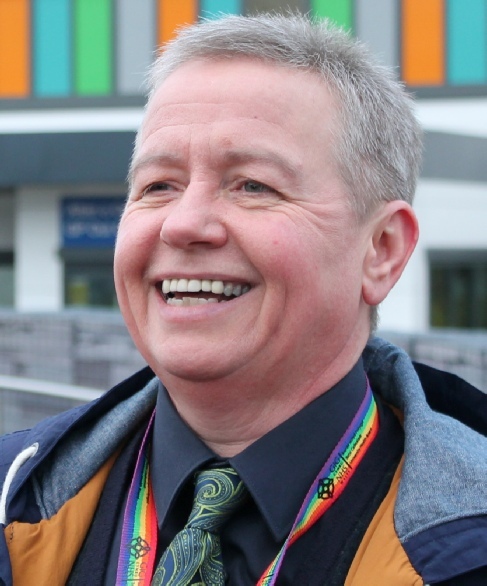 I have found great support through joining Unique and hope that I can make a positive difference to other trans and LGB people in Wales and the UK as a whole by challenging stigma and prejudice and making it an easier process to access services.